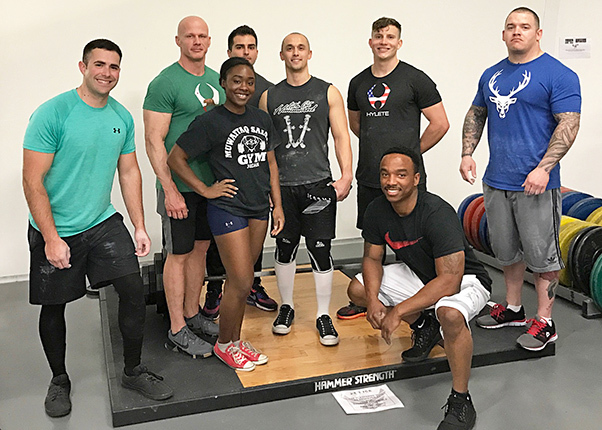 Team Edwards members were given the chance to flex their muscles March 2 at the Rosburg Fitness Center’s Bench Press and Powerlifting Competition. Participants were able to compete in three events: the bench press, squat and deadlift. The event was about strength and training and the winners were determined by how much weight they pressed, squatted or picked up. 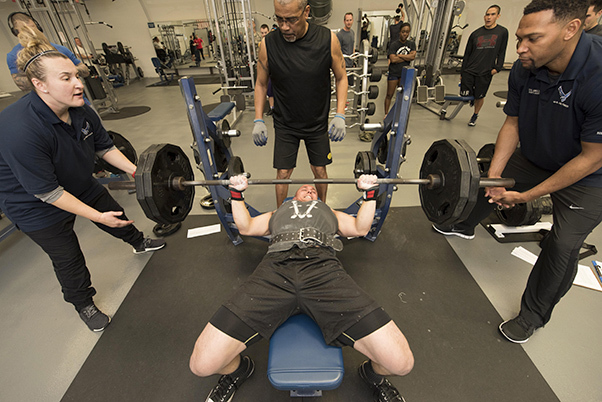 The bench press winner was Neil Edwards, 412th Civil Engineer Group. The winner of the squat competition was Tech. Sgt. Timothy Coble, 412th Aircraft Maintenance Squadron, and the deadlift winner was Christopher Valentino, 775th Test Squadron. The overall winner of the competition by total amount lifted divided by bodyweight was Senior Airman Cody McCloud, 412th AMXS. Some of the participants of the Rosburg Fitness Center’s Bench Press and Powerlifting Competition pose for a photo March 2, 2017.